Born in the wilds of San Francisco, with its rich literary history and public transport system teeming with characters suitable for crime novels, the stage was set for Max Tomlinson to become a writer. 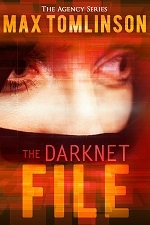 His work to date includes: SENDERO (listed as one of the top 100 Indie novels of 2012 by Kirkus), WHO SINGS TO THE DEAD, LETHAL DISPATCH, THE CAIN FILE (selected by Amazon’s Kindle Scout program) and the follow-up – THE DARKNET FILE. 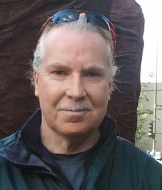 A new three-book mystery series set in 1970s San Francisco will debut in 2019 with Oceanview Publishing. The first book is titled: VANISHING IN THE HAIGHT, featuring ex-con Colleen Hayes, on the hunt for her long-lost daughter. Max also writes under the pen name “Max Radin” when he’s not being purely mysterious or suspenseful. 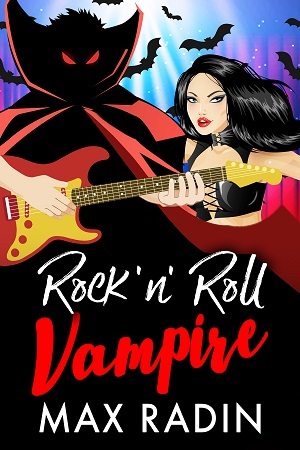 Check out Rock ‘n’ Roll Vampire for his comedy debut. He can also be seen walking through San Francisco with a shelter-mix named Floyd, who stops and stares at headlights as they pass by at night. If only Floyd could talk. On second thoughts, maybe not. Sign up for my newsletter to be notified almost never (e.g. when a new book is available).